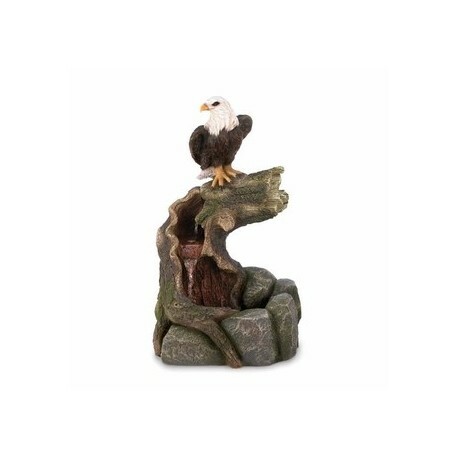 This majestic eagle is perched atop this unique water features thats perfect for indoor or outdoor use. 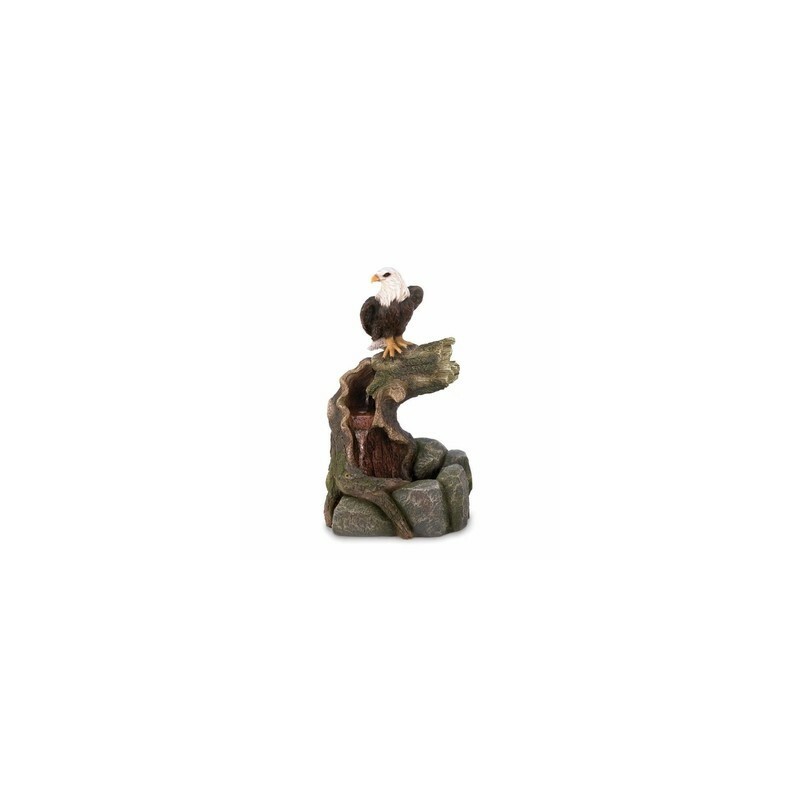 The resin and stone powder base looks like a rocky landscape with a weathered tree, and from inside comes the soothing sound of cascading water. 16" x 13" x 27". Stone powder resin.